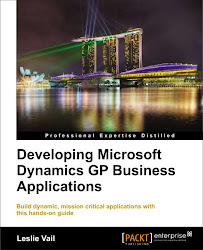 Dynamics Confessions Blogspot: Installing the GP 2013 Web Client–roll up your sleeves! On Monday, I went to the Jump Start training class where we learned about the new Web Client for 2013. In the afternoon, we actually installed the client. This post consolidates the 20 page installation process into 13 easy steps. Before you get started, you need adequate hardware. Windows 7 or higher. No to XP, don’t know about VISTA. But, be reasonable, who’s running Vista? Now that you have your equipment in place, let’s install the Web Client. Run the same setup file as if you were installing the rich client. Go through the normal installation process, launch utilities to synchronize the dictionary, and then open Fabrikam. Close Dynamics after verifying that you can log in successfully. You need to issue the template so new certificates can make use of it. Once you have created the certificate, you need to export it to a file that can then be copied to each member server that needs the certificate installed. 6. Import the Server Certificate that you just exported. Even though you may be logging in to the server using a domain administrator account, you will want to create service accounts that run the Web Application Pools. Windows Service accounts should NOT be administrator accounts. Use the same installation media as you do to install the full workstation client. You have already installed the full workstation client, therefore, this step will involve adding the Web Client Components to the existing client. Click on the same setup.exe file you use for the full desktop client. Chose to install the Web Client from the list of Additional Products. Leave all of the features selected and accept the default installation path. Click the drop-down next to the Web Site and choose the web sit you created for the web client installation. Enter the name of the SQL Server where the Web Management Console database will be created. In the Web Management Cole Database window, provide the connection information to the database for the web management console; accept the default database name. In the Session Central Service window, provide the configuration information for the Session Central Service. In the Session Service window, provide the configuration information for the Session Service. In the Runtime Service URL window, provide the information for accessing the Runtime Service. Finally! Click the Install button to install the Web Client components. Exit when the installation completes. 13. Go to the URL of your Web client, and then log in. Be amazed at the new GP 2013 Web Client! Enjoy the rest of your GPPC sessions. Indeed, step 11 is a bit of a push. One question, you said no to XP but i am curious if it will work. any one know that how we run GP, through our web domain[xyz.com] actually i am new in GP web client so please is any one know that how is it work where web client is intsall , where our GP physical server. Because client wants to run GP through browser from different location in that case how we can make such type of environment please help me !! GP webclient works through AD authentication so you need to make sure that you DNS on your certificate matches the DNS name you are connecting to and that all servers have correct DNS entries to make them accessible.